"The Church leadership should seriously address the allegations raised by the nun", he said. She alleged that Bishop Franco Mulakkal was using "political and money power" to bury the case against him. On Monday, the Kerala High Court directed the state government to inform it about the steps taken by the special investigation team of the Kerala Police probing the case. "More than 70 days have passed since the nun filed a police complaint against the bishop". They said that she was to meet the media for the first time on Sunday but had since backed out after George's comments. Noting that she felt the Catholic Church was still doubting her over the argument as to why she allowed the bishop to sexually abuse her multiple times, the nun said she had tremendous fear and shame to bring this out into the open. "If I leave my post at this stage people will say that I have admitted my guilt", he said talking to HT over phone. In a letter to Giambattista Diquattro, Vatican's Apostolic Nuncio (a diplomatic mission), the nun said she had turned to the church authorities for justice. 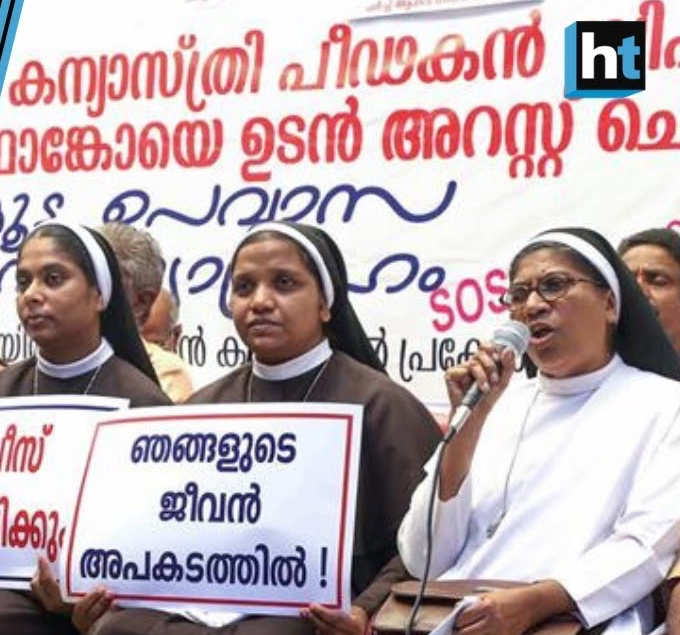 The nun's family, along with five of her mates from the convent at Kottayam, where she was repeatedly raped and abused, are meanwhile on a hunger strike demanding the bishop's arrest. The Church body has claimed that the bishop had ordered an internal probe against the nun in 2016 after a woman complained to Church authorities that the nun was having an affair with her husband. The letter surfaced as the protest by various Catholic Reform organisations in Kochi seeking justice for the nun entered fourth day Tuesday. "It is unfortunate that the Church has not initiated any measures against Bishop Franco, though the police have registered an FIR [first information report] and interrogated him", said Joseph Varghese, joint secretary of Kerala Catholic Church Reformation Movement. "This is a time of crisis.I am going through painful agony.I tell everyone to pray to God.let the truth prevail", he said.